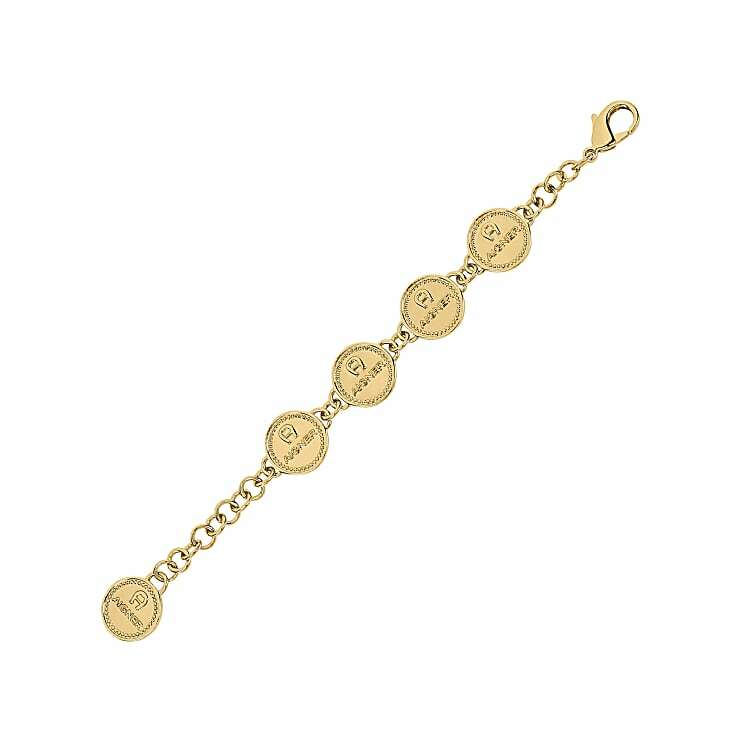 For the exclusive AIGNER Runway Collection our designer Christian Beck came up with something special and had the idea of this beautiful bracelet with coins. Based on our current WUNDERKAMMER - collection you will find this motif appearing on several of our bags, shoulder straps, leather accessories or even as a complete belt. In the shimmering gold it adorns every wrist in its own astonishing and very elegant character. To match this trendy style you can add the new choker, which belongs to the same collection and can be tightly wrapped around the neck for any chic upcoming occasion.